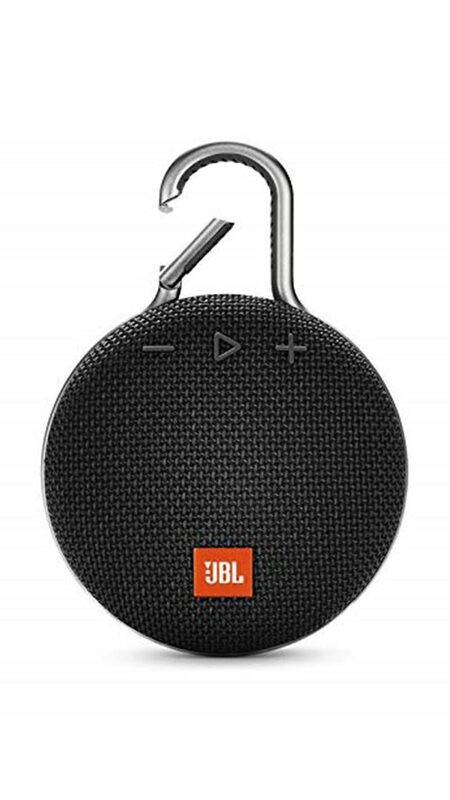 Clip and Play,, Like no other, the JBL Clip 3 is a unique ultra-portable, ultra-rugged and waterproof Bluetooth speaker that is small in size but with surprisingly big sound. The upgraded durable and fully integrated carabiner clips to your clothes, belt loop or backpack, making the Clip 3 your outdoor companion on every adventure. The Clip 3 is IPX7 waterproof and offers 10 hours of playtime, powered by a 1000mAh rechargeable Li-ion battery, allowing you to bring your music with you. A built-in noise and echo-cancelling speakerphone gives you crystal clear calls with the press of a button.